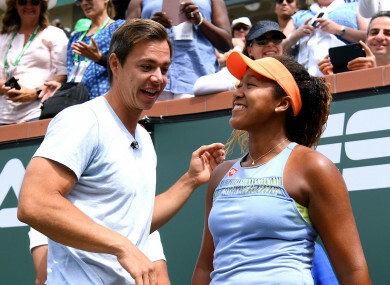 Parting ways: Naomi Osaka (r) and Sascha Bajin (l). Osaka secured her first grand slam title at the US Open, beating Serena Williams in a final that was overshadowed by the 23-time major winner’s argument with umpire Carlos Ramos. Email “World number one Osaka splits with coach after recent success”. Feedback on “World number one Osaka splits with coach after recent success”.